Last day!!!! GIVEAWAY with MSDRESSY!!! Win $80 voucher!!! 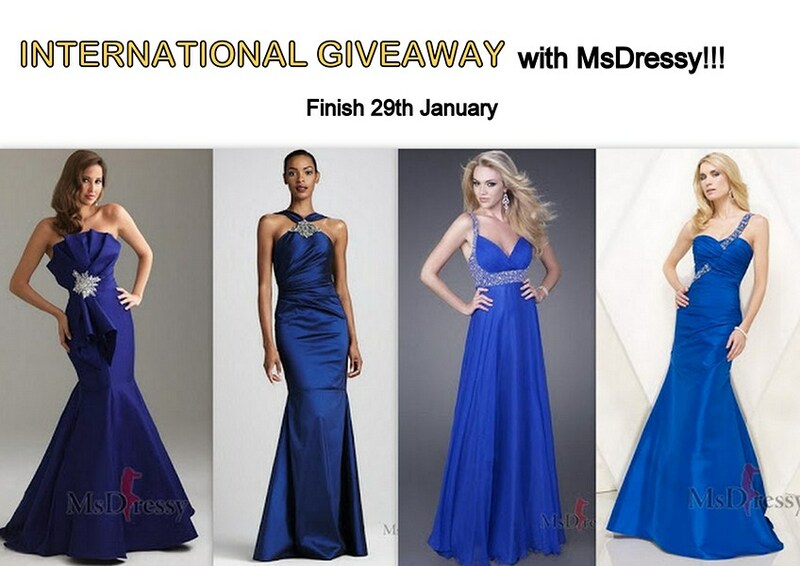 It's last day of INTERNATIONAL GIVEAWAY with MsDRESSY, online store I love! Follow the simple rules below and you'll have the chance to WIN $80 GIFT VOUCHER! Ready? Go! 1. Follow me via Google Friend Connect. 4. Leave a comment with the email you registered in Msdressy. It's very important so they can send you the prize! I will choose the winners via random.org. The giveaway closes finish tomorrow 29th of January! Es el ultimo dia de SORTEO INTERNACIONAL con MsDRESSY. Solamente tienes que seguir las sencillas reglas abajo! GANA EL VALE DE $80!!! 1. Sígueme a través de Google Friend Connect. 2. Regístrate en Msdressy aquí. 3. Haz te gusta al Faceboo de Msdressy aquí y el mío aquí. 4. Deja un comentario con el email que te registraste en Msdressy. Es muy importante para que puedan enviarte el premio! Voy a elegir a los ganadores a través de random.org. Es el ultimo día - 29 de enero! Dzisiaj jest ostatni dzien MIEDZYNARODOWEGO ROZDANIA z MsDRESSY. Wystarczy spelnic podane ponizej proste zasady! WYGRAJ BON NA $80! 1. Obserwuj mnie przez Google Friend Connect. 2. Zarejestruj się na Msdressy tutaj. 3. Polub Msdressy na Facebooku tutaj i moj blog tutaj. 4. Zostaw komentarz z adresem e-mail zarejestrowany w Msdressy. To bardzo ważne, aby mogli wysłać nagrodę! Es un sorteo impresionante, participo! A dress in cobalt is so stunning!!! 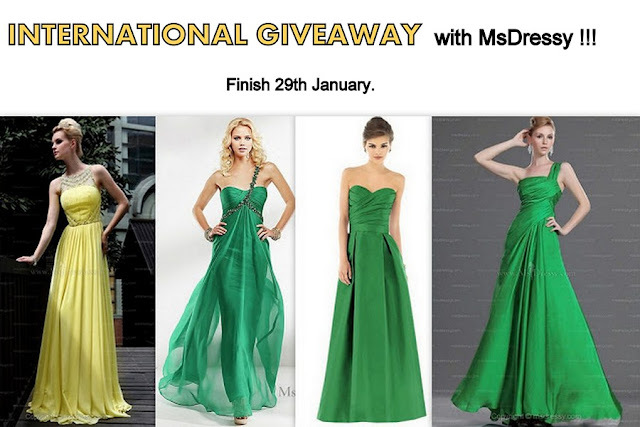 What beautiful dresses, this such a good giveway! i lovee all the dresses!! always so beautiful and chic! Giveaway is finished. Thank you for your participation!